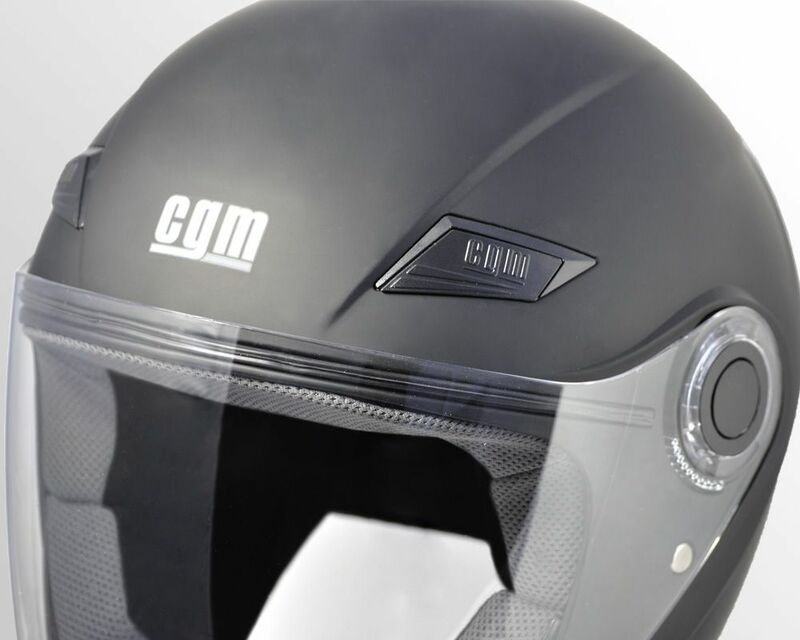 It is our clear convinction to make the safety requirements, which charactherised our helmets, the result of the convergence among the most advanced specifications and never the result of a compromise. The project, the construction details, the chose of the materials, the colours, the graphics and the design in its whole are interely created, verified and approved by our team. 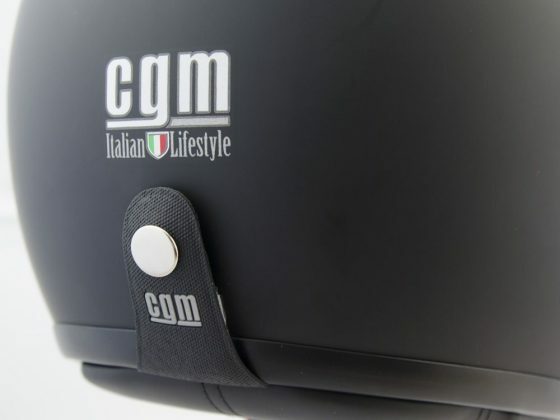 Our target is not only to obtain the helmet homologation certification which makes it usable as protection device in all European Union countries, but also to obtain results beyond the limits foreseen by the regulation currently in force. 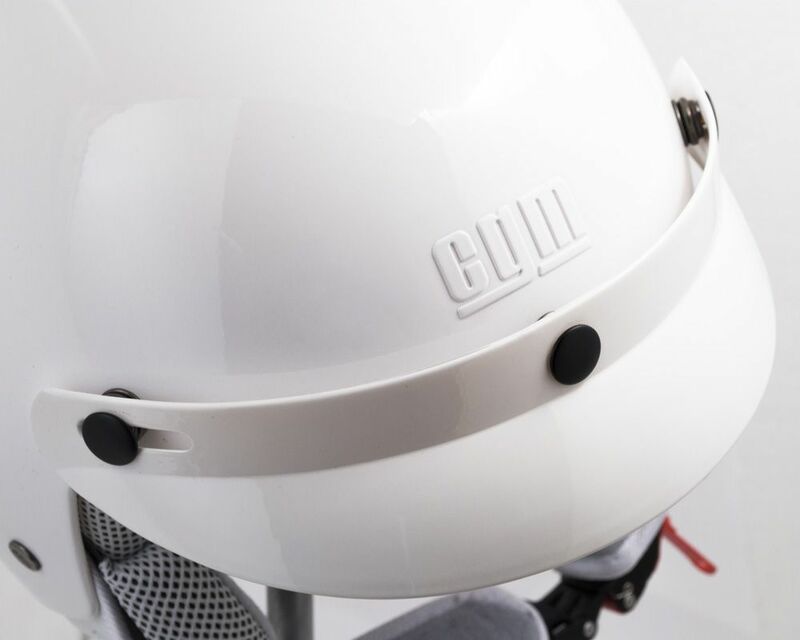 Our engineering team is always searching for innovative solutions to improve the experience of use of our helmets, each implemented technology is studied to improve the perfomance. To realize models in different sizes of external shell allows to give a fit and a very good comfort fitting for all the sizes. The shell of reduced dimensions is useful to cover the smaller sizes, on the contrary the shell of bigger dimensions allows to cover the bigger sizes. 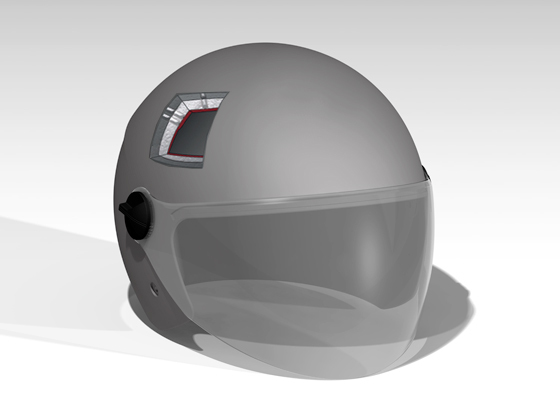 A shell specially realized for some sizes allows to avoid an excessive encumbrance when the helmet is worn on. 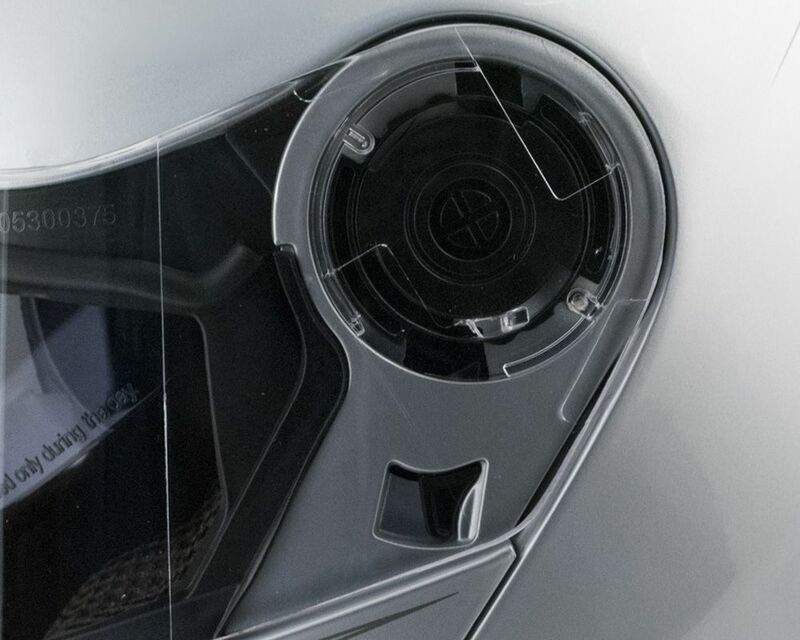 The shell is printed by injection, the thermoplastic polymers, once cold and hardened after the printing process, grant a high mechanic resistance for the maximum protection from impacts, in a wide range of temperatures, and a high capacity to dissipate the energy deriving from an impact. Moreover, the printed shell keeps its original structure, without deformations or instability for many years. The shell is realised in composite fibers amalgamate and made solid thanks to the use of thermoherdener resins in vinylester with epoxy base. 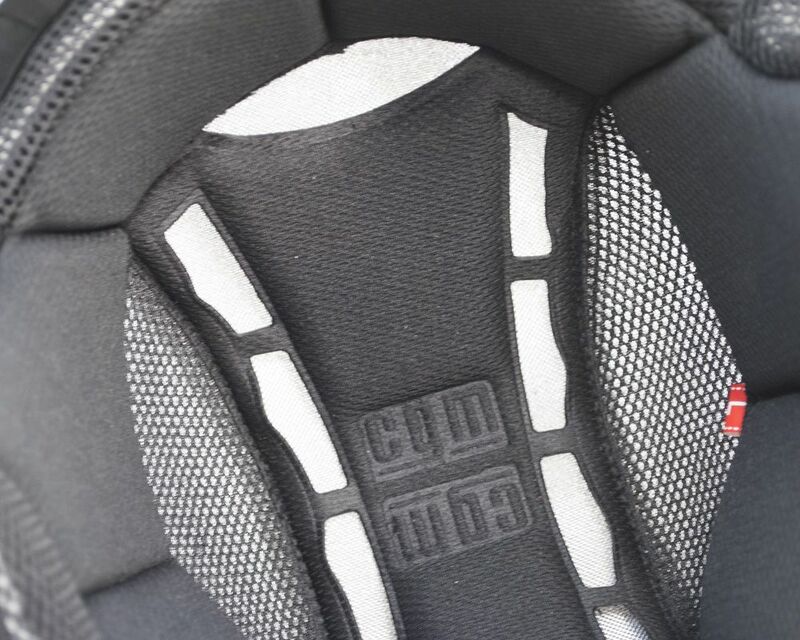 The use of composte fibers allows a good resistence to the shock strenght joined to a higher lightness, moreover, the shells in fiber are not influenced by the temperature changes and have a better resistence to UV rays. 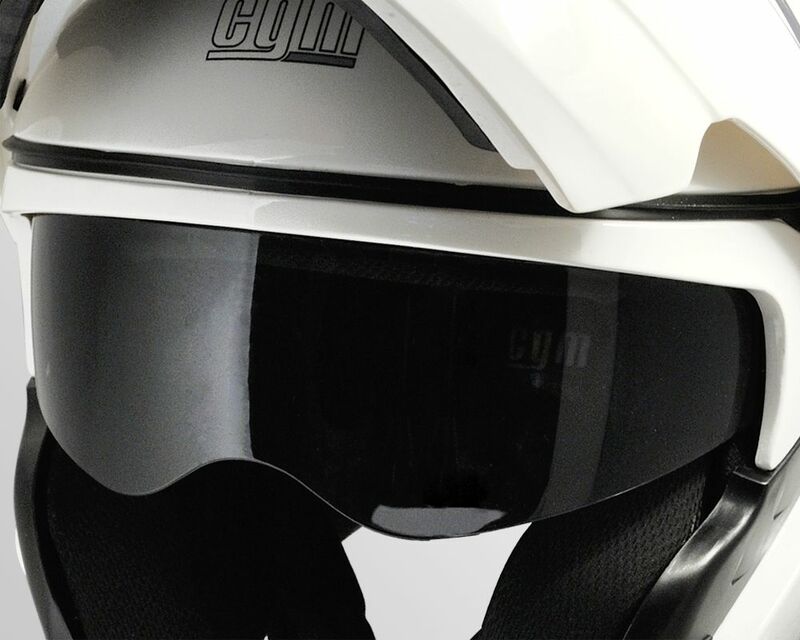 Each helmet of ours is carefully treated to obtain the desired finishing. The shell, after having been smoothed, is painted with various layers of colour and then coated with the antiscratch transparent painting. 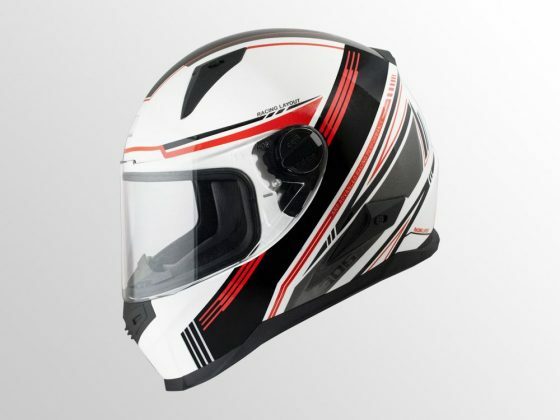 Each helmet of ours is carefully treated to obtain the desired finishing. The shell, after having been smoothed, is painted with various layers of colour, covered by the special water decal with the desired design, and then coated with the antiscratch transparent painting. The air system AIR STREAM SYSTEM is composed by front air vents , air ducts in the inner shell and rear air vents. 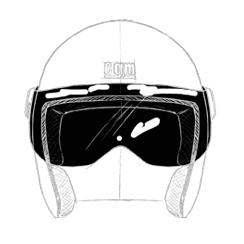 The fresh air enters in the front air vents of the helmet and, passing through the proper ducting in the inner shell, it arrives to the rider. The air circle is generated exploiting the movement which generates a negative pressure and push the internal hot air towards the rear side of the helmet from where it comes out through the rear air vents. 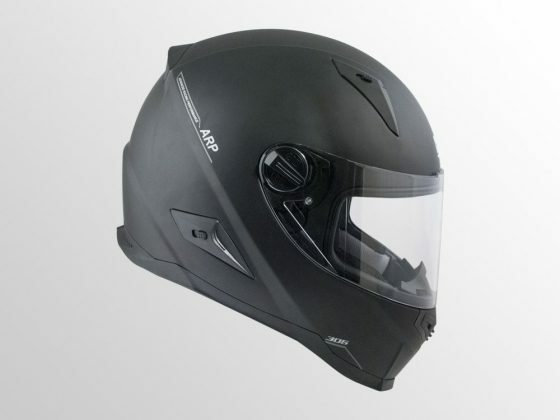 In this way the rider benefits of a costant air recycle inside the helmet which always grants a pleasant temperature. 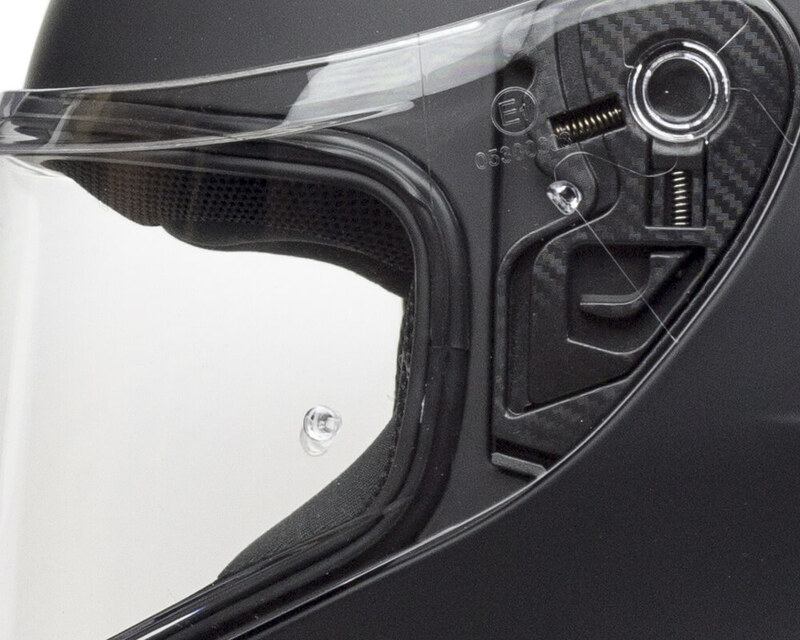 The front air system allows the fresh air inlet through the front air vents that, passing through the proper ducting in the inner shell, arrives to the rider, helping to keep fresh and oxygenated the inside of the helmet. 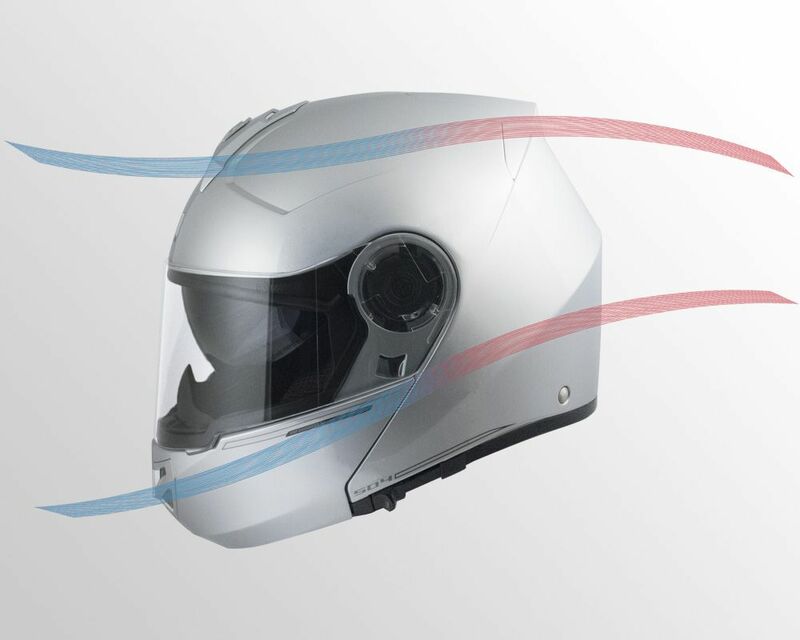 The rear air system allows the circulation of the air inside the helmet. 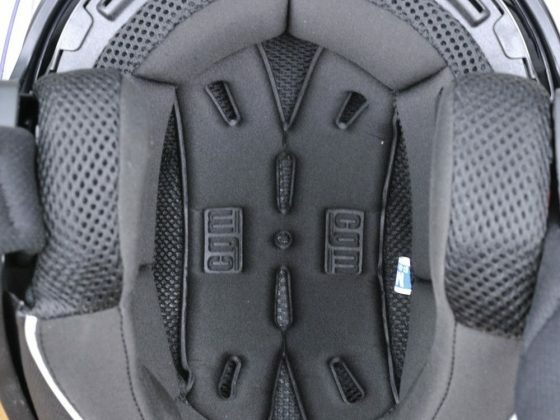 Exploiting the movement, the hot internal air is pushed towards the rear side of the helmet from where it comes out through the rear air vents. In this way the driver benefits of a constant air recycle which always grants a pleasant temperature. 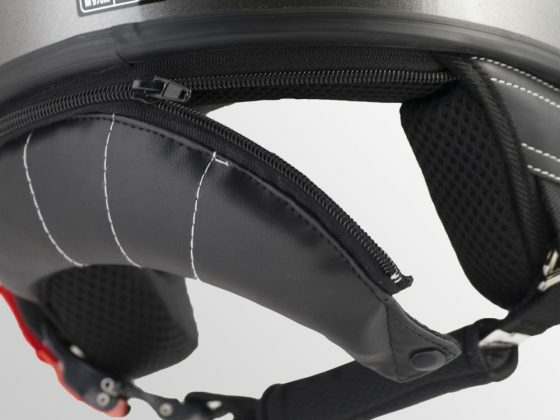 The air system allows a costant air recycle inside the helmet, but the inner padding are the ones in contact with driver skin, for this inner lining of the helmets provided of AIR STREAM INNER are integral part of this system. 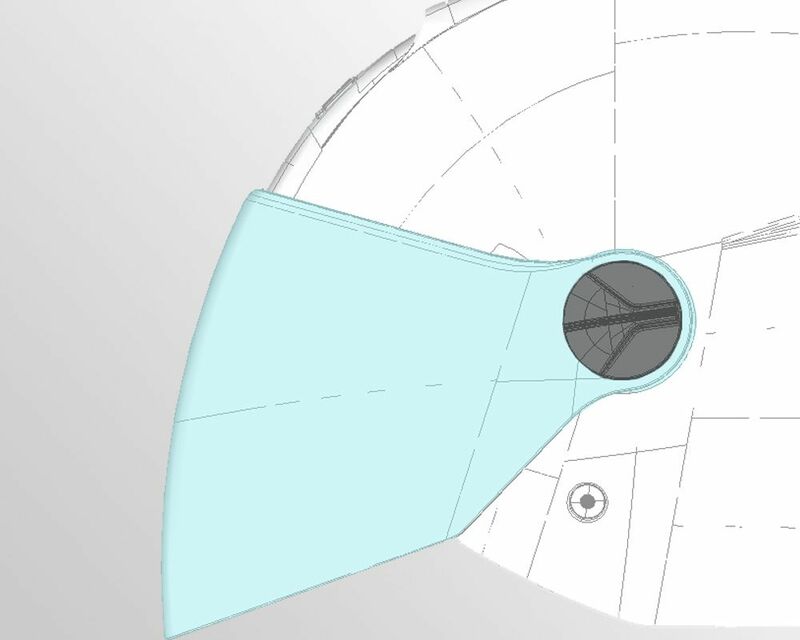 Several slots are positioned in proximity of the openings of the air ducting of the inner shell, allowing a smooth passage of the air through the inner padding. Moreover, the matching and duly pierced fabrics grant to the whole system a correct functioning. 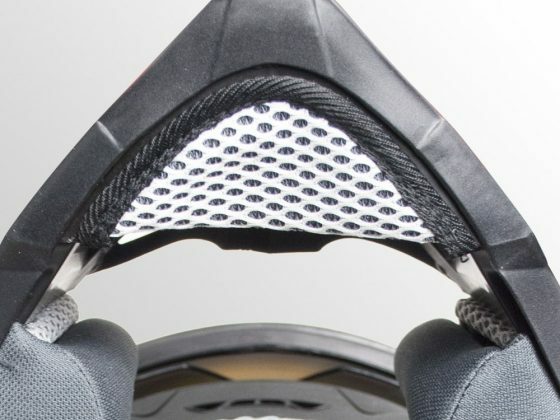 The prestige inner lining are realised with a more attractive design, more researched materials and colours matched with the external graphic. 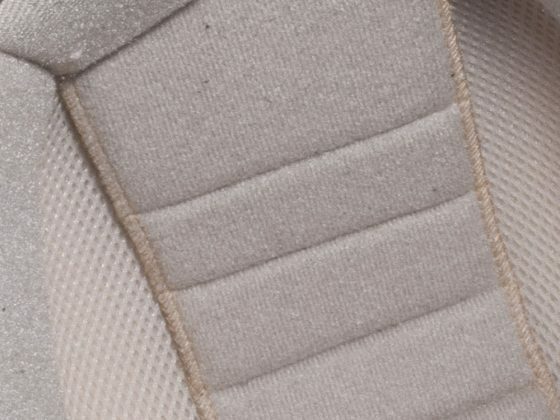 Standard inner lining are realised with simple but comfortable shapes, which offer a feeling of complete adherence to the head. The EXTRASOFT inner lining are realised with fabrics which are extremely soft at skin contact, for a full comfort in whatever drive condition. The removable inner lining are fixed to the inner shell with fasteners, mechanisms in hard plastic or velcro, they can be washed with mild soap. The removable cheek pads are fixed to the inner shell with fasteners, mechanisms in hard plastic or velcro, they can be washed with mild soap. 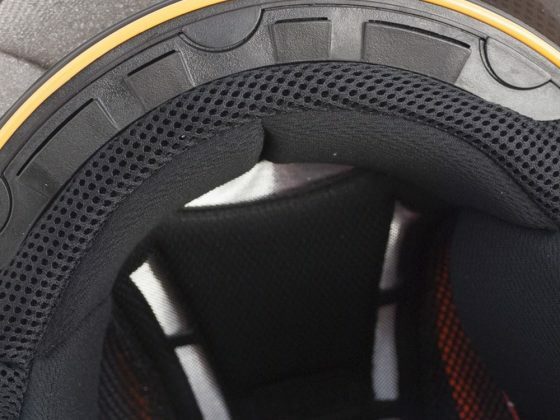 Chin protector easily removable. 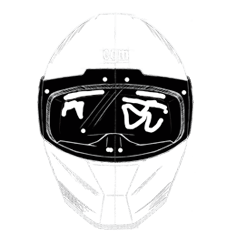 It is needed to protect the neck skin to avoid the contact with the chin strap. 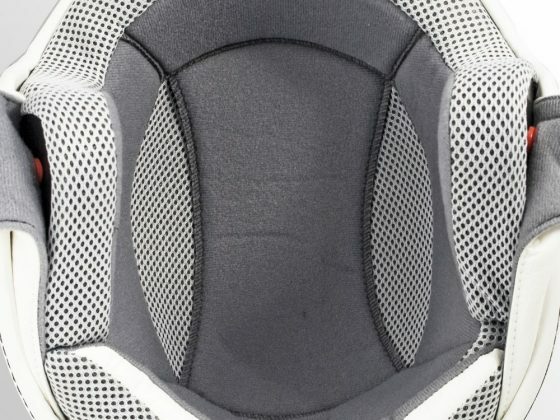 The neck collar fixed to the inner shell with fasteners, zips and velcro, can be washed with mild soap. 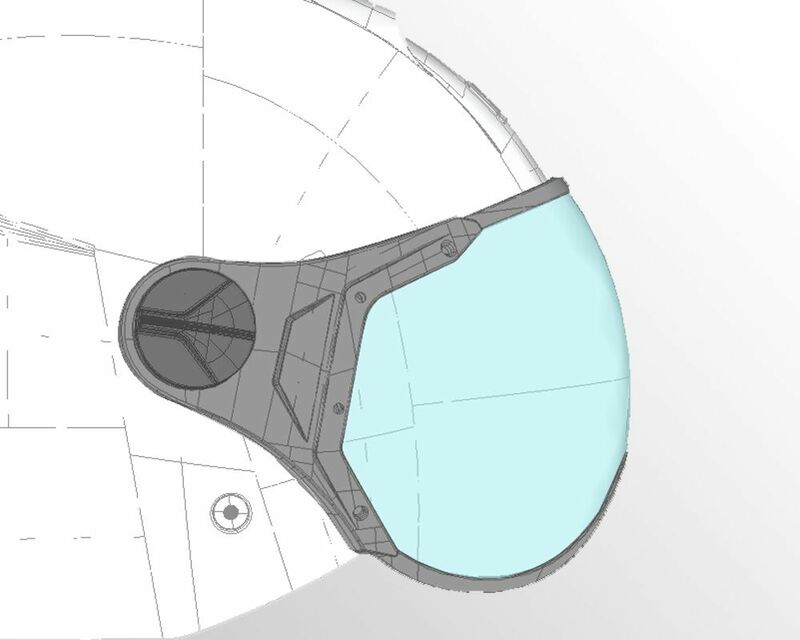 Shaped visor in glasses form which usually covers the eyes. Treated to resist to surface scratches. 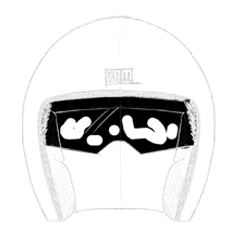 Visor with regular shape which usually covers also the nose. Treated to resist to surface scratches. 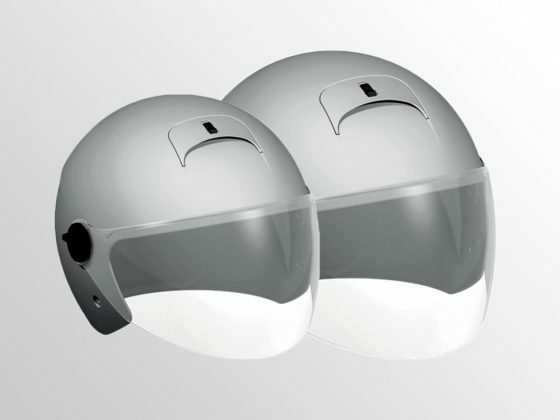 For a better visual, even the side one, the visor has been realised with a widen surface, increasing safety and drive comfort. 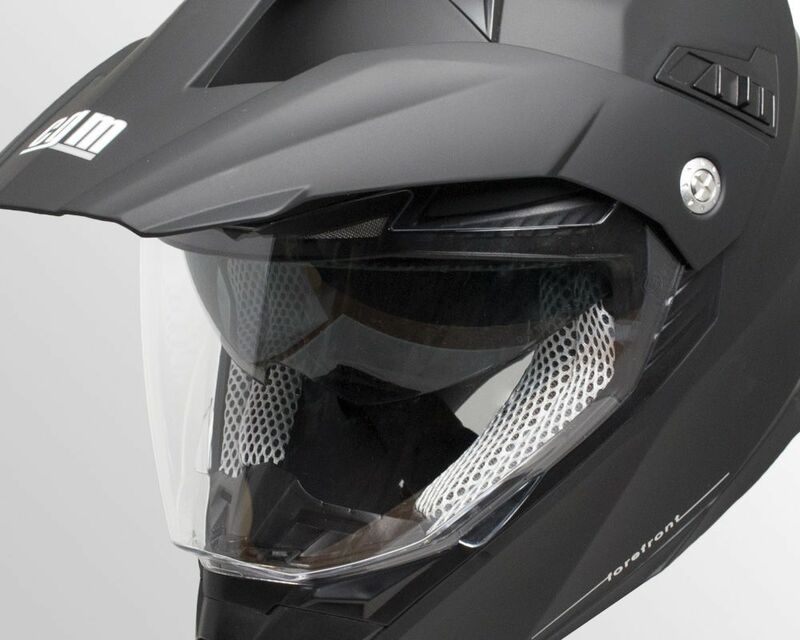 The darken hidden inner visor acts as a sunscreen handy and easy to use. It is enough to lift it down to use it or to lift it up to exclude it from the visual field and go back to a traditional visual. 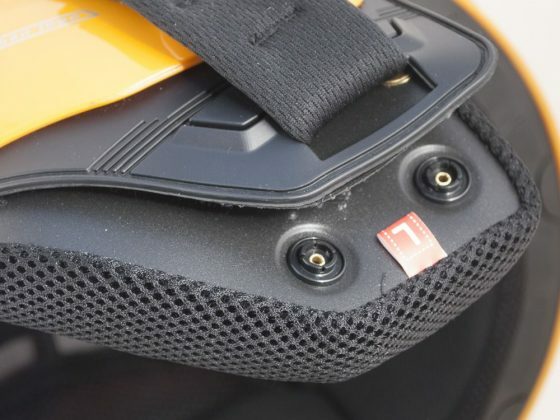 Quick release visor, easily and fast to remove without the use of tools. 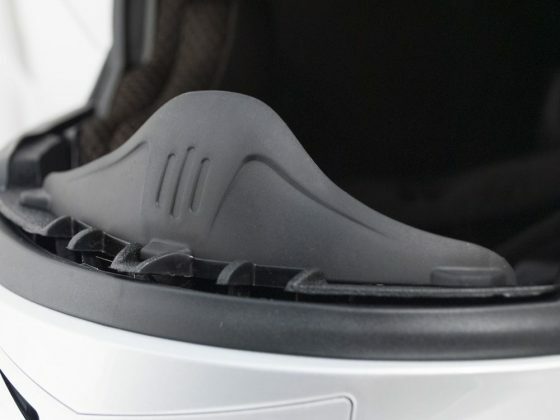 Pivoted visor fixing system push the visor when closed on the gasket granting an optimal adherence. 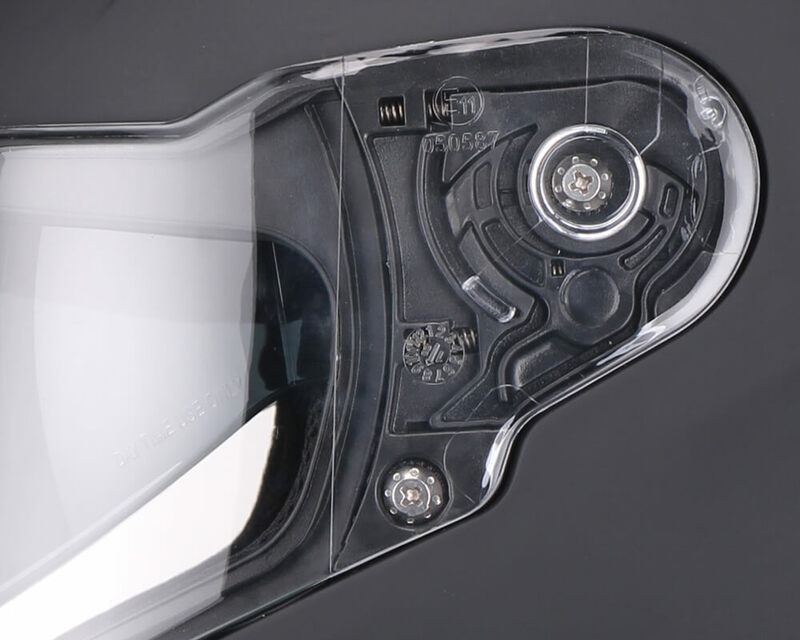 The visor is equipped with special pins for inserting the Pinlock lens against the fogging of the visor that may occur because of breathing and because of the difference of temperature inside and outside the helmet. 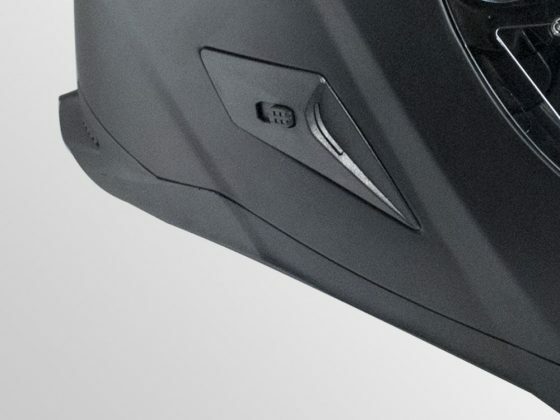 Compact sun peak easily removable thanks to the fasteners. Sun peak with increased surface for a better protection against sun rays. 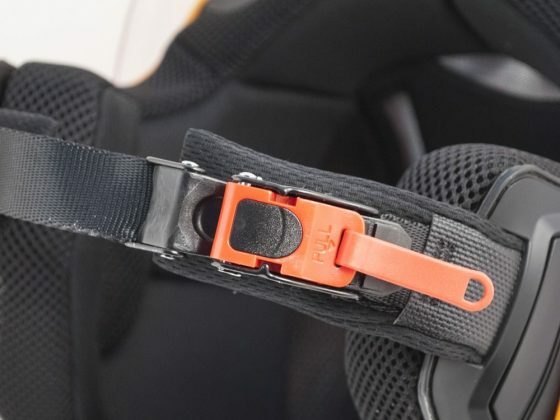 The micrometric buckle for the chin strap closing is made of a button body and by a graduated lath which allow a quick and easy adjustment together with a practical release. 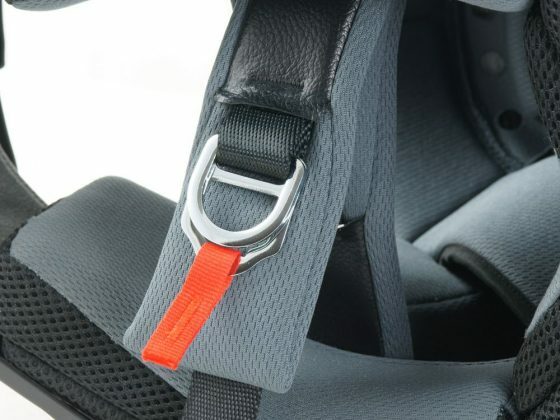 The micrometric buckle is, therefore, studied to obtain, with the same device, a quick and safe system of opening/closing and a handy and intuitive adjustment system. 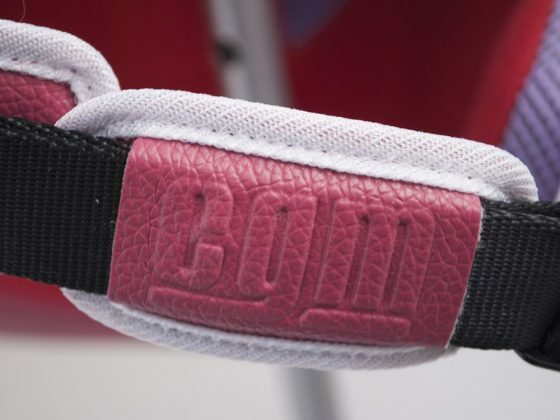 The double d buckle is made of two metallic rings put on an end of the chin strap, the other end inserts frontward in both rings, and then backward only in the second one. This kind of closure allows to block the chin strap at the desired length. 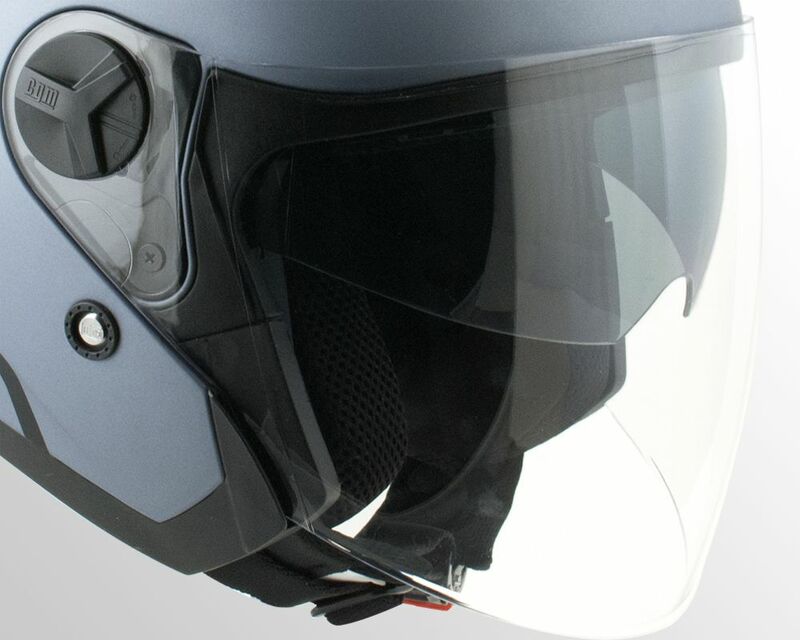 The nose deflector, easy removable, is useful to direct the hot air breathed downwards to avoid the visor mist. 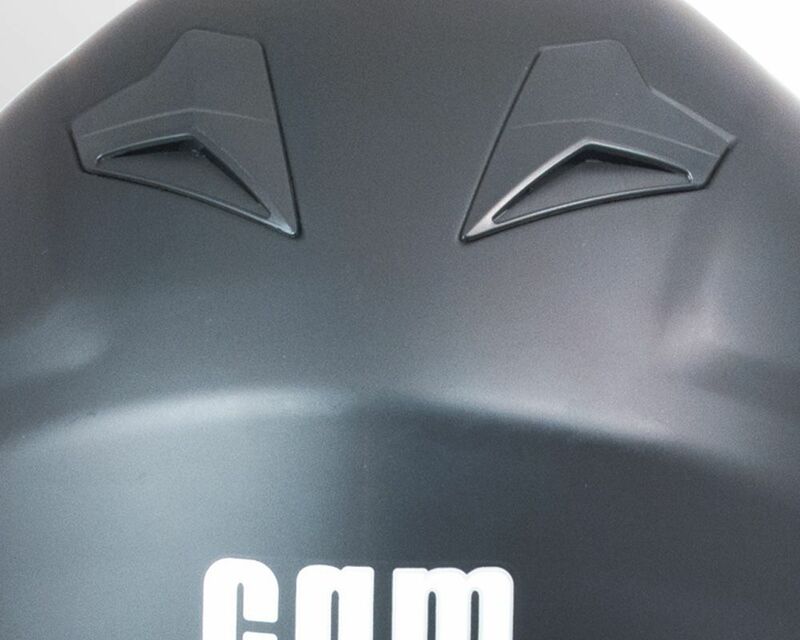 The chin deflector is a protection in fabric put just below the chin which prevents the air inlet inside the helmet increasing silence and stability. 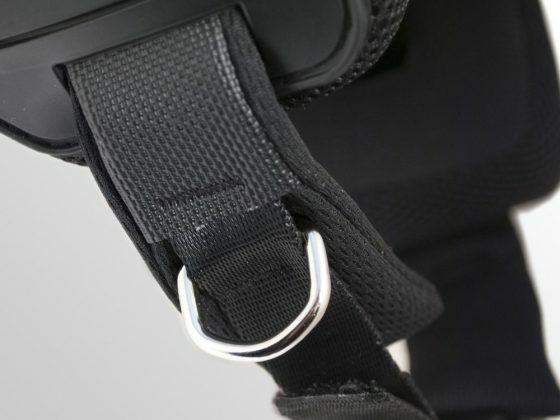 The anti-theft loop ring at the chin strap is a useful metallic ring to fasten the helmet to the hook under the seat of the scooter in practical and safe way. 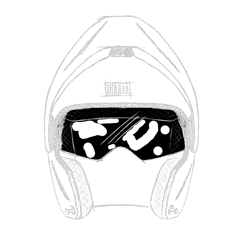 Shell trim realized in various materials to match the general looking of the helmet, it protects the border part of the external shell. 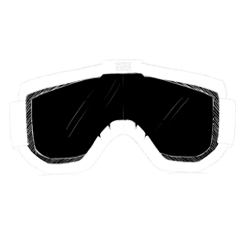 The rear goggle loop is useful to fasten the goggles strap to the helmet in practical and safe way.